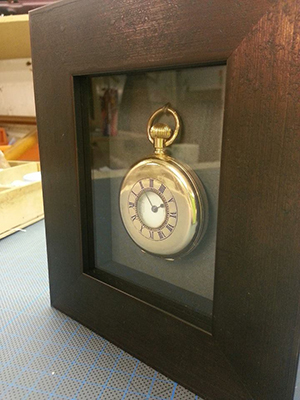 We specialise in making bespoke picture frames to suit anything from miniatures to large oils. We can offer a range of mouldings from 6 to 100 millimeters and can construct even wider ones. Box frames are also one of our specialties. We can also offer a colour wash on plain woods to match any colour you may wish to suit the artwork, or area in which the picture is going to be hung. There is a choice of Swept frames, ranging from ready made standard sizes, in Gold, Silver, Black, White or natural wood, to specially made hand finished frames made to any size and colour. In addition to this we also carry a good quality budget range of mouldings which can make a saving on conventional frames. as well as the usual prints, watercolours and oils.